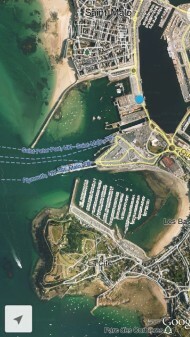 Managed a half-hearted LRF session in St Malo before catching the ferry back to Portsmouth. 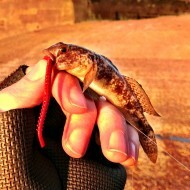 Tide and temperature were not on my side but I was determined to catch a fish, so set my sights high with a goby. Job done. Pretty ordinary Black Goby, but a great backdrop. Looking forward to returning one day for a proper go at it - look at all that structure!